Palate: Extremely mellow, smooth, and light. 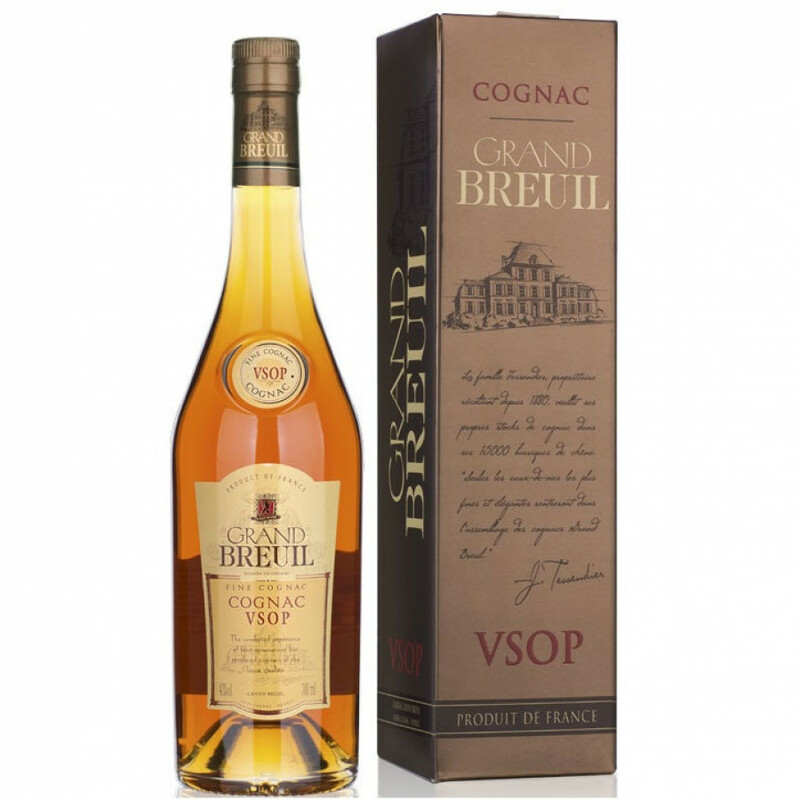 The Grand Breuil VSOP Cognac is a wonderful example of how great such a quality of Cognac can be. Smooth, light, and extremely mellow, it offers delightful flavors and aromas of red fruits and vanilla, along with the delicacy and complexity of candied ginger and vine peach. This delightful creation by Tessendier brothers, Jerome and Lilian, not only offers excellent value for money, but is a truly versatile Cognac to own.